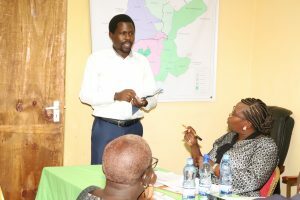 MUNICIPAL BOARD DELIBERATE ON DEVELOPMENT PROJECTS AND BUDGET ESTIMATES FOR FY 2019/2020. 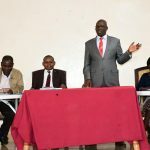 Kapsabet Municipality Charter grants the board an opportunity to prepare and submit its annual budget estimates to the county treasury for consideration and submission to the county assembly for approval as part of the annual County Appropriation Bill. 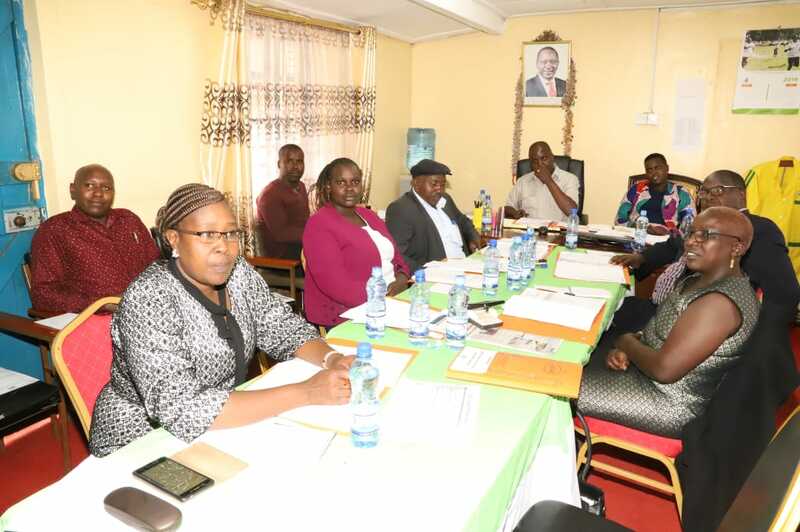 Today the municipal board held their special meeting to deliberate on budget estimates for FY 2019/2020 in a meeting held at kapsabet municipal grounds. Board members during the budget estimate deliberations. From the Urban Development Grant (UDG), a conditional development grant from World Bank, the Municipality has its expenditure menu focussing on the extension of the projects for FY 2018/2019. The key development areas include waste management, storm water drainage, connectivity, fire and disaster management and urban economic infrastructure. From the board deliberation today, the municipality is planning to carry out various development projects amounting to 160 Million. 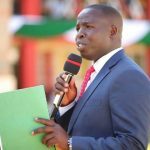 Among them are: Construction of a fire station, market stalls and ablution blocks, extension of street light and installation of digital signage; purchase of self loading truck and receptacles for solid waste collection, extension of non motorized transport and storm water drainage. 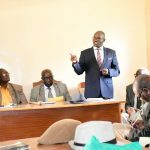 The budget estimates for the above mention projects together with those of other departments will be submitted out for public view before end of this month. 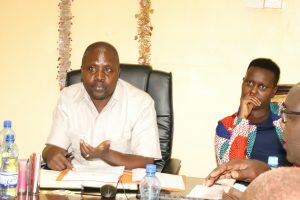 There after, the budget will be presented to the County Assembly for approval.